The book "1984" by George Orwell (Eric Arthur Blair) had a major impact but sadly, not enough. We are still experiencing this Orwellian logic to this day. For those unfamiliar with this important work, well, go read it, now! But for the sake of simplicity I will review but one concept. "Orwellian" is an adjective describing a situation, idea, or societal condition that causes great harm to society, that denies the people true freedom of thought. And yes, we have this today. Growing up in Israel I quickly became aware of the horrible recent past; the Holocaust. It was all around me. It was as clear as day and as true as the sun rising tomorrow and setting the same evening. It is equally true today, but ...not to all, and not everywhere. Facts are being labeled lies, evidence is being denied. When General Eisenhower visited the "concentration camps", i.e. the death factories, he had a brilliant insight, he said a time will come when people deny this. At the end of World War II, General Eisenhower made a decision to personally visit as many Nazi concentration camps as he could. His reason? He wanted to document the camps and their appalling conditions. Anticipating a time when Nazi atrocities might be denied, General Eisenhower also ordered the filming and photographing of camps as they were liberated. Members of the U.S. Army Signal Corps recorded approximately 80,000 feet of moving film, together with still photographs. Within months after the war in Europe, about 6,000 feet of that film footage was excerpted to create a one-hour documentary called "Nazi Concentration Camp". Prosecutors used the film, which is graphically gruesome, to prove that Nazi leaders, on trial at Nuremberg, had perpetrated unbelievably heinous crimes against humanity. Thomas Dodd, one of the U.S. prosecutors, introduced the film into evidence on the 29th of November, 1945. When the lights came up, after the trial film was screened, people had a new understanding of what the words "concentration camp" really meant. Eisenhower wanted to be in as many pictures as possible to prove the death camps really existed. He was sometimes accompanied by Generals Bradley and Patton (such as their visit to the Ohrdruf concentration camp on April 12, 1945). It didn't take long for Eisenhower's concerns to materialize. Despite his presence in many photographs, Holocaust deniers persist to this day. Not only that we have the lunatic fringe, which is daily growing to include more and more young people, that denies the events of the Holocaust but we also have something just as frightening: partial denial and blame. What we have is a situation where governments are whitewashing their own past involvement in the atrocities and placing all the blame squarely on the Germans. How convenient. I have spent my life studying the Holocaust and the fact is that the Nazis had helpers in nearly all European countries that were more than willing to actively participate in killing Jews and others. In fact in some countries the Nazis had to hold them back and make sure they followed the slow plan of deception. For now I will refrain from "naming names" but it is all FULLY documented. And today we are facing a situation where certain governments have made it illegal to speak the truth. When I was first invited to visit Germany to conduct a Krav Maga seminar I was a guest in the home of a dear friend whose parents survived the Holocaust. I sought her advice. She told me to go! She said of all the nations of Europe the Germans alone fully acknowledge the past and teach it to their children. But other nations are still in denial. Other nations refuse to admit their guilt, their share in the mass murder/genocide that took place: They were helpless bystanders, none of them collaborated, they were all victims. They say this in the face of mounds of evidence, scientifically and historically researched. In some countries teaching the truth about the Holocaust will get you fired from a teaching position, in other countries it is a crime. Current governments have the ability to "undo" the past, just as in the classic "1984". They can and do rewrite history and the young generation knows no better. They truly believe the "new truth" and will fight back against the real truth. As I recently wrote to a student who was angry that I visit Germany for seminars, if I were to decide not to visit Germany because of the wrongs of the past then I must be fair and avoid all of Europe other than Albania and Bulgaria and perhaps Denmark. There is plenty of guilt to go around, and not only in Europe. As in the past most of the planet would be off grounds, forbidden, verboten, for me. So we make an attempt to deal with the past, to address the White Elephant in the room and deal with the pain. And we move forward to attempt to make a better future, for us all. I am truly amazed that some people flatly deny the past behavior of the country and totally ignore the evidence. Even eye witness reports are dismissed as the victims "clearly cannot remember anything accurately". 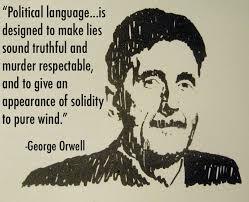 This "newspeak" and double-think is a result of years of manipulation by governments refusing to come to terms with their past. It is an historic fact that Rome destroyed Jerusalem, it is an historic fact that the Spanish Inquisition took place. The events of the Holocaust are equally factual but the difference is we have libraries full of incontrovertible evidence and living testimony. So you have a choice; admit that the previous generation(s) did what they did, or make yourself look like a fool. It is truly sad that so many choose the latter.